Grouping an entire generation of people into a single marketing segment has its pitfalls. Not every member of any group or demographic segment can be expected to see the world from an identical perspective and follow a single behavioral pattern. However, generational differences and behaviors are influenced by disruptive events. The Great Depression and World War II had a dramatic impact on baby boomers, both in the way they saw the world and their role in the future. The technology revolution is generating much of the same impact on Millennials, and to an even greater degree, Generation Z. Such dynamic experiences tend to not only alter established patterns of process but often disrupts the way people reinterpret and redefine fundamental societal norms. Marketers found measured success in developing strategies that connected with Millennials only after struggling to fully understand the impact of the technology era on those born and reared during the years that saw unprecedented disruption in traditional communication processes. Millennials were the test subjects for social media platforms that were born and that matured during their formative years. Both Millennials and the generation that followed became accustomed to fast paced growth of new technologies and the impacts they have on the world. Generation Z consists of those born in 1996 or later. They make up 25.9% of the United States population and will account for one-third of the U.S. population by 2020. The most tech savvy and information consuming generation in history, Generation “Z’ers” tend to be less focused on a single thought but are demonstrating an amazing ability to multitask and a lack of patience with a single subject. Since 2018, members of Generation Z spent up to $143 billion and will represent 40% of consumers by 2020. In order to successfully market to this generation, it is important to recognize how this new set of consumers differentiates from the previous generation. 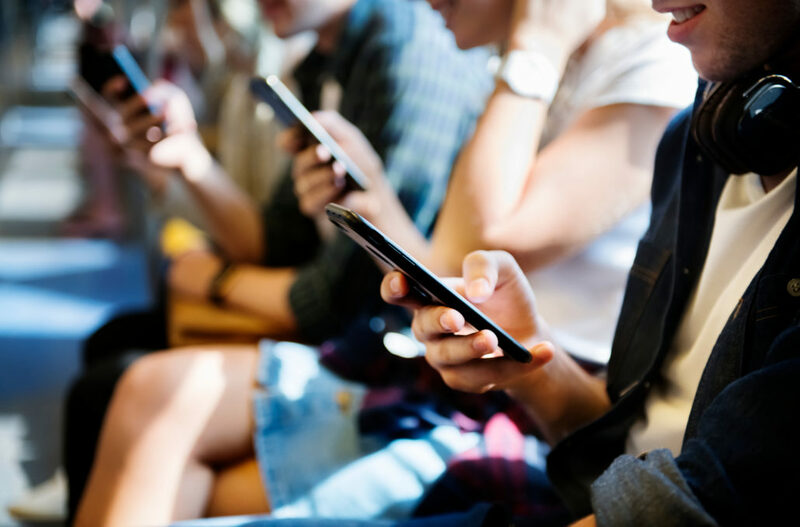 While Millennials learned to coexist with the development of digital devices, Z’ers are perpetual in their use and have demonstrated a mastery of everything smart and mobile. Marketers are experiencing a massive shift in advertising methods and content messaging in order to successfully connect with Generation Z’s shifting values. “When it doesn’t get there fast they think something’s wrong,” said Marcie Merriman, executive director of growth strategy at Ernst & Young. 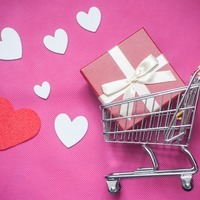 “They expect businesses, brands and retailers to be loyal to them. If they don’t feel appreciated, they’re going to move on. It’s not about them being loyal to the business.” Like their predecessors, this new generation values authenticity. However, Generation Z’ers desire even more transparency from companies requiring brands to alter their approach to focus to a greater degree on social media influencers. This generation of shoppers indicates they are more likely to be motivated by social media influencers than by celebrities. Four out of five Generation Z members say they allow social media to influence purchasing decisions. It would be easy to button-hole this newest generation of consumers into one market segment, but care must be exorcized to understand that each new generation is influenced by those that have gone before. In reality, while greatly impacted and honed from a lifetime of technology, this new generation may be much more diverse having been influenced by interactions with each preceding generation. Unlike 2018, the big NCAA 2019 basketball tournament event is not burdened with the pressure of battling clean-up. 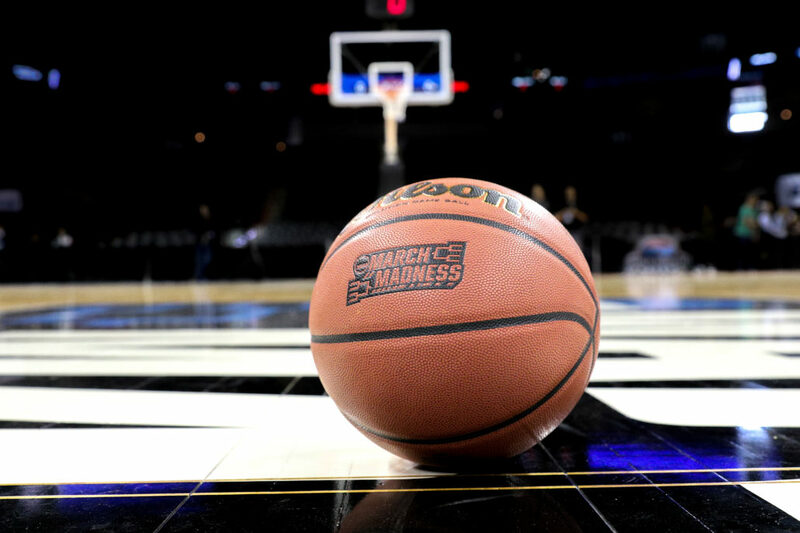 March Madness 2019 is predicted to set a new record of $1.36 billion in advertising spend, continuing an upward tradition since 2013. The NCAA Men’s Division I Final Four will be hosted by the city of Minneapolis, and is predicted to generate $142 million in economic impact for the area and attract 94,000 visitors to the U.S. Bank Stadium. “In terms of impact, visitor spending is only one way to think about success,” says CEO Kate Mortenson, NCAA Final Four Minneapolis Organizing Committee. While the city looks forward to the promise of an economic windfall, a list of international brands is gearing up for an opportunity to promote their wares to the millions of college basketball fans who will be tuning in to the weeks-long event leading up to the big game. The NCAA has announced that this year’s tournament will be streaming across 15 platforms in an effort to keep pace with a more mobile viewing audience. Mobile experiences will be very important to fans and advertisers will need to heed the viewers’ continued gravitational pull away from traditional cable and broadcast channels. The most successful brands will be those that connect all the channels into one cohesive campaign that brings basketball fans together with the brand. Whether you choose one or all of the available channels, there are more ways than ever for a brand to engage with an audience during March Madness. 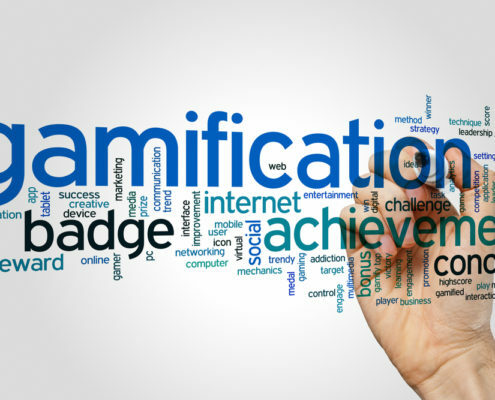 While the digital play provides social analytics that can generate immediate message effectiveness, display and sponsorship advertising often requires an incubation period following the performance to measure success or failure. It’s time to establish a strategy and tip off your best effort to connect with our nation’s college basketball fans. The Academy Awards have been an entertaining promotion of the movie industry for decades. At its peak, the 3-hour distribution of the golden Oscar to the industry’s best performances captured millions of viewers and generated unprecedented hype for cinema performers, directors and technicians. The once high viewer ratings have diminished over the past two years due to falling interest in a program that has strayed beyond its stated mission and into the critical arena of politics and overt promotion of controversial social issues. 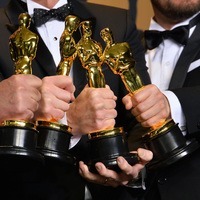 The prediction for the 91st edition of the Academy Awards was dire at the program’s debut but the ABC TV network managed to garner a record $2.6 million for a 30-second advertising spot on the 2019 program. ABC sells more advertising on Oscar Sunday than any day of the year. This year’s major brands included: Google, McDonald’s, Verizon, Walmart, Cadillac and Walt Disney. Nike used the platform to launch a powerful, female-focused “Dream Crazy” campaign, fronted by tennis legend Serena Williams. Embarrassed by a failing sneaker worn by its spokesman basketball star in Duke University’s loss to North Carolina the previous week, the iconic brand needed a big win to erase the memory of that debacle from consumers’ minds. “The Super Bowl is over. It’s mid-February,” Jeff Greenfield, chief operating officer of C3 Metrics, a media measurement company, said in a recent interview. “I am Walmart. My competitor is Amazon. Where can I go and compete against Amazon on what is essentially a global stage and get reach today? It’s the Oscars. … For a brand like a Walmart, they have to be there.” Despite a falling viewer audience, ABC will rack-up more than $150 million from this year’s event. Apparently, falling attendance and program ratings are having little effect on those brands that are willing to pay a premium to share the world’s entertainment stage. The once “don’t mix politics, religion and controversial social issues with business” mantra that guided advertising for centuries is quickly being abandoned as marketers perceive changing trends in consumers’ favor for socially conscience brands. Providers of major entertainment like the National Football League (NFL) however, are learning that the diversion from focusing on the quality of the entertainment to the promotion of controversy has its limits with a diverse consumer audience. Going forward, promotors of programs like the Academy Awards may want to temper the rhetoric of controversy and refocus on awarding favor to artistic performance if they want to advance their own brand to a more diverse community of consumers. This year’s ratings bump was welcomed after years of declining interest among viewers but the impact of the increase may be short lived, or not. The fact remains that the Oscars televised event with all its tarnish still attracts a reliable but fractured viewing audience. For brands looking to reach that audience, the Oscars ceremony continues to be an important venue to promote. It may not be as bad as finding an empty vault in Al Capone’s basement but the LIII Super Bowl Game certainly failed to deliver on the anticipated excitement, either for the fans watching the game or the advertisers who spent a large share of their annual marketing budget to advertise during the event. The estimated $5 million per 30-second spot always comes with a significant amount of doubt as to its real value. This year’s mega game was the least watched Super Bowl matchup in 11 years and is ranked as the lowest rated in 16 years. CBS says the broadcast averaged 98.2 million viewers and a 41.1 household rating, almost as exciting as the activity playing out on the field. Even the halftime entertainment failed to excite the dulling malaise in the stadium. Perhaps the only star-studded performance of the week was the city of Atlanta and its ten thousand volunteers who put forth an award winning performance. For advertisers who spent a ridiculous sum to produce a bevy of television commercials, they couldn’t be happy that the coveted number one commercial, as judged by the USA Today’s Super Bowl Ad Meter, was the event’s owners and producers, The National Football League. It’s akin to entering a contest and having the contest organizer take the top trophy at the end of the show. Runner-up was the Amazon Alexa ad about technology gone haywire, followed by Microsoft’s ad about children with disabilities using the Xbox adaptive controller to play video games. The major beer brands’ efforts appeared to be as skillful as the two competitors on the field, just a bit off their best games. It appears as though brewing beer with molasses is a big deal, or maybe not. The only clear winners were women, whose participation rate in commercials ticked up over previous bowl events. Toyota, Olay, Bumble and Michelob Ultra are among the brands that put women front-and-center in Big Game ads. “It seems like there’s an awful lot of humor and light appeals, and that for advertisers it’s somewhat of a play-it-safe year,” said Charles R. Taylor, a professor of marketing at the Villanova University School of Business. “We’re not hearing about anything crossing over in politics.” A resounding Bravo could be heard from avid football fans that spent more than $2,500 per seat to be entertained and $1 thousand for a bed to sleep in after all the partying. Now that the crowds have gone home and the Champion’s parade has cleared the streets, it’s time for the marketers who convinced their C Suites that the million (plural in many cases) dollar tab was worth the effort. In the end, taking win place or show in the ad game only matters when revenue is added up. Unlike last year, the players on the margins of ROI won’t have the Olympic Games to soften a rough landing. One aspect of advertising the big game from year to year is the answer to the question, “Was it worth the money?” It still remains in the wind. Measuring the impact of a single-event television ad is like asking an AM radio personality how many people heard a specific 30 seconds of the broadcast. In reality, the best answer you can hope for is a fair share of the audience that hadn’t nodded-off. The most successful ads tend to be those that elevate the institutional value of the brand over time. It’s sort of “you’re not sure but you’ll know the answer when you feel it.” Regardless of the answer, it is almost a given certainty that most of the admen and adwomen who turned out a team to play in this year’s LIII Super Bowl will return for an encore performance next year. The whole thing is just too good of a spectacle to miss. And besides, would you want to be the marketing manager who passes on the one year that the competition beats you badly at the goal line? Storytelling is not new. It’s a supportive foundational block in our ability to communicate effectively. It utilizes emotion and empathy to inform and motivate, to explain complex as well as simple messages. In this fast-paced, digital communicative environment, storytelling is becoming increasingly important to marketing efforts. Shortened sound-bites, mini moments and mega-blanket messaging have become all the rage among digital advertising, but the impact of the message is being lost amongst all the noise. 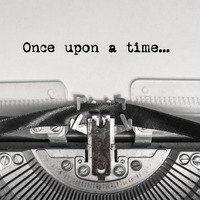 Advertisers are returning to the art of storytelling to complete a more comprehensive and effective connection with its audience. With all the attention garnered by the technical aspects of digital media and as the proliferation of multiple social channels continue, the increasingly shorter time spans in digital communication is driving consumers to distrust brands and avoid fact-based, feature-and-benefits methods of messaging. When performed properly, storytelling is combining art, creativity, psychology and data to create improved marketing campaigns. Consumers are interested in being entertained by a message, being educated and motivated by an experience and in messages that engage with them emotionally and personally. Old school marketing tactics are finding new life with consumers who are tired of the incessant barrage of digital media noise. 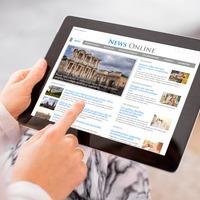 Successfully merging the art of storytelling into today’s digital marketing environment requires an understanding of the techniques of storytelling and an investment of time and resources to implement an effective narrative that connects with consumers. For more on how Junction Creative Solutions’ creative team of professionals can help tell your story, call 678-686-1125 today. With all the excitement in Atlanta, Georgia, one would think it was 1996 and the Summer Olympics were fast approaching. Not since then has the big city in the South experienced this frantic level of anticipation and excitement. No Olympics this time, but rather Super Bowl LIII. For more than 200 days, City planners and more than 10,000 volunteers have been planning, priming and preparing for just one day in February, Super Bowl Sunday, and for good reason. This year’s super football contest between the New England Patriots and the Los Angeles Rams promises to generate more than $700 billion for the city’s commerce and a welcome down payment on the costs of the city’s brand new $1.5 billion Mercedes-Benz Stadium. The new stadium is the most recent mega landmark to grace Atlanta, which extends well beyond the confines of the original city boundaries. Mercedes-Benz Stadium is advertised to be located in the “heart of the City,” but the “City” of the Atlanta is expansive. The Atlanta Metro Area has become one of the most expansive urban Meccas in the country. With many of the world’s largest and best recognized companies deciding to call the area home, it is attracting some of the nation’s most capable young professionals and entrepreneurs who are gravitating to the area’s increasingly exciting lifestyle. The economic impact of the event will be felt throughout the expanded area and will certainly boost the fortunes of a large assortment of business and commerce. Despite the advanced preparations and planning, residents and attendees will need to expect even more intense traffic on the city’s already frantic byways. For those not planning to participate in the many events prior to and on the day of the game, it may be a good time to consider cooking at home and staying close to the neighborhood. The areas traffic patterns have a reputation for gridlock and aggressive drivers and are legendary among residents and visitors alike, even during normal times. Marketers are ready for the event that has redefined single-event advertising. A 30-second spot on CBS will cost advertisers about $5 million each, but there is no shortage of brands willing and ready to take a shot of making advertising history. Advertising opportunities are not the only venue for increasing brand awareness. 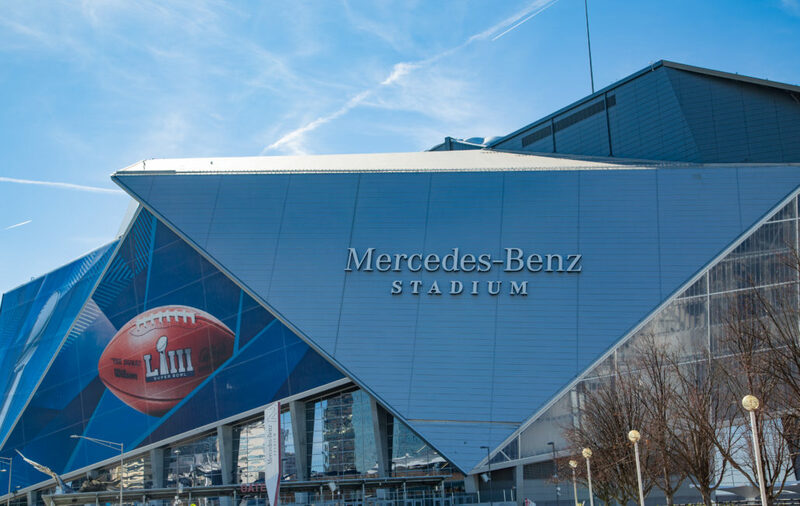 Billboards, Pedi cabs, vehicle wraps, experiential marketing and sampling are among the marketing collateral available to advertisers who want to connect with the anticipated 1.5 million Super Bowl LIII visitors. For those looking to attend the Super Bowl this year, it is going to be costly for those who have not yet secured their tickets. Last available tickets for the game are rumored to cost as much as $10 thousand each. With just a few days left before Super Sunday, airline flights, hotels and passes to many of the weekend events are going for a premium. Good news for Atlanta. Who is your pick for Super Bowl stardom? Now that you have a well designed and developed website, it is time to turn it on and ready your organization for a deluge of new business. If you are like most newcomers to the digital marketplace, you’re a little uncertain as to why the billions of online consumers in the vast cyber community are not beating a frantic path to your door. The internet is not unlike a crowded public space where getting noticed by even a small targeted group of individuals is lost among the noise of the masses. The cyber world is a very, very crowded public space with vast numbers of solution providers looking for problems to solve. How is one to get the attention of even a miniscule number of the masses looking for a solution solver? Similar to the author striving to elevate their prose to the Best Sellers list by connecting with a reader audience, marketers must first get noticed, and being noticed often means gravitating your brand to the top of the most recognized digital search lists. In order for a website to appear at a prominent position on a search engine, it must conform to the engine’s complex and proprietary algorithms. 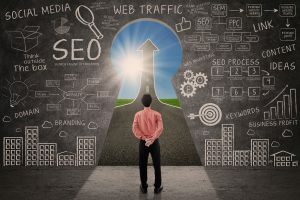 Understanding the SEO process can be convoluted and complex, requiring the expert services of an outside SEO provider. According to imFORZA, 93 percent of online experiences begin with a search. Therefore, omitting search engine optimization (SEO) from the marketing mix is simply not an option. So how do you choose an SEO professional? According to CIO Magazine, “Today’s SEO needs to understand all of marketing at a deep level, the psychology of the human race, the specific culture to whom they’re marketing, the social media landscape, web analytics, web design and development, viral marketing, content, product, business models and more.” The process will begin by reaching out to a SEO provider who has significant interest and experience in your particular business, understands your unique selling position, can identify and locate your targeted customers and understands the goals of your website and its mission. The successful candidate should not only have a demonstrated expertise in SEO, but should also be someone who can relate to your vision and have the ability to evoke confidence and work with you in meeting projected expectations. Be wary of those who over promise and over simplify. Successful SEO strategy takes time and constant tweaking. Optimizing the strategy and achieving and maintaining a position on the top of any list takes commitment of time and financial resources. Coordinating website design to better perform with an SEO strategy should be encouraged. Coordination between the web designer and the SEO provider will enhance your website’s performance over time. The SEO process is a journey that requires adjustments and enhancements to its initial direction. It is often not a direct line but one that detours from a projected plot to capture the attention and participation of various market segments that ultimately make up your most productive market niche. To learn more on how Junction can help you select the perfect SEO partner, call 678.686.1125.